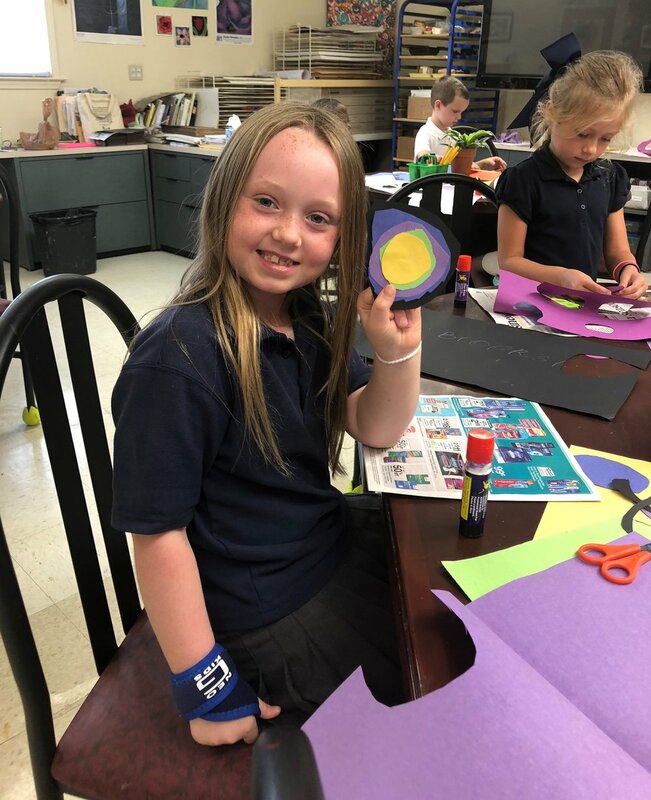 Although it might not be a holiday you’ve celebrated, International Dot Day began on September 15, 2009, when a teacher read the book entitled The Dot by Peter H. Reynolds to his class. While the student in the story did not represent the best attitude initially, the student was encouraged by the teacher to “just make a mark and see where it takes you,” which led to a journey of cooperation and self-discovery for the apprehensive child. Since then, International Dot Day has become an annual holiday. It is simply a fun day where people are encouraged to embrace their talents and ignite those hidden sparks of creativity through writing, painting, or drawing. 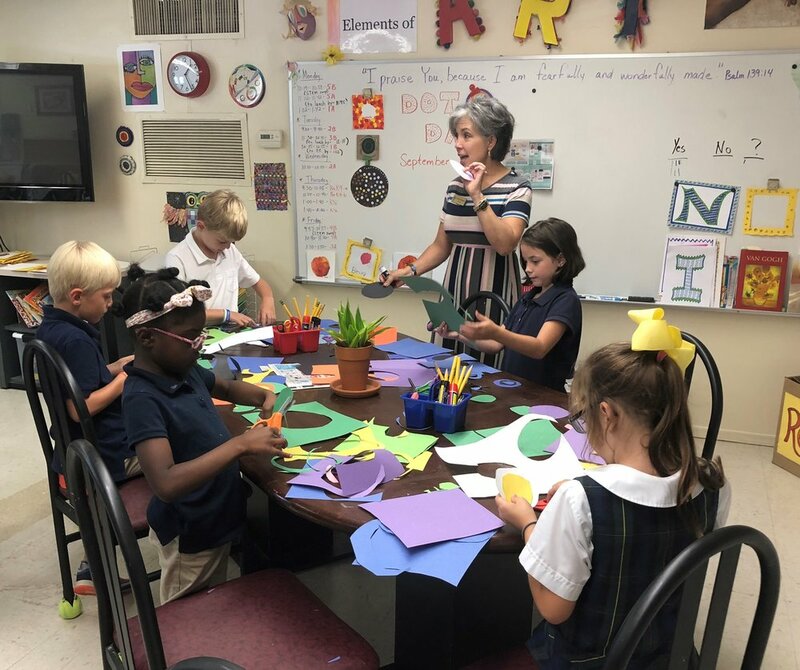 The “specials” teachers enjoyed adding a little extra inspiration and flare to their Pre-K to 2nd grade classes as they explored new things this week in LCA’s Lower School art, media center, and technology classes.